Airflow Systems high-performance aircraft oil coolers. Be ready for summer with our RV-10 Upgrade Specials! RV-14 Air Conditioning is now available... Check it out and stay COOL this summer! Taxi Into Position and Cold™ with the largest line of air conditioning kits for experimental aircraft from Airflow Systems. Proprietary design high performance X-Series oil coolers for experimental aircrafts and the popular NDM (NTP) oil coolers for certified aircraft are available from Airflow Systems. Airflow Systems has applied 15 years of high performance aircraft heat exchanger design experience to its new Porsche® 356/912 oil cooler. 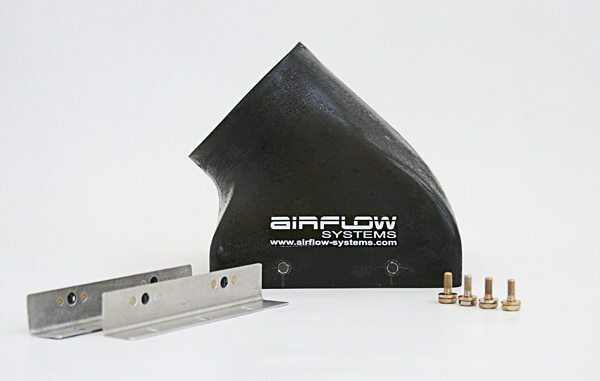 The design goal for any Airflow Systems product is to offer best in class performance delivered in an easy to install kit. Our Air-Oil Separators are the easiest to install, lightest weight air oil separator with the fewest possible connections. The benefits are lower oil consumption and a clean belly. The parts shown in this section are designed to help experimental aircraft builders achieve maximum efficiency and performance more quickly and easily.